Get the best Value with Rackety's Buy 5 get 1 Free Multi-Packs. 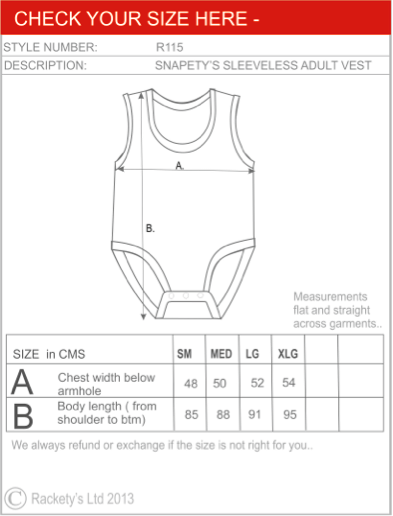 Select the 6 vests that you would like to order below and add the quanlity of multi-packs in at the bottom. So two Multipacks will give you 12 vests. Soft cotton with a bit of elastine vests that keep everything in the right place, stop the embarrassment of nappies being on display, and keep you or the person you care for warm and comfortable all day and through the night. ♥ 94% soft cotton knit fabric and 6% elastine.